Australia at that time had no film industry, three television networks and produced mainly commercials. I was at the right place at the right time, he declares. He became one of a group that, as he recalls, “pushed, shoved and lobbied and bullied the government introducing investments in Australian made films.” He persuaded Australia’s largest distribution-exhibition circuit at the time, the Greater Union Theater Organization, to form an in house production company that he would run. They made three successful films which marked the beginning of the Australian film renaissance. Since that time, Trenchard-Smith has become a filmmaker with a reputation for large scale movies on small scale budgets. He has make 28 feature films and over 3000 episodes for television. He has had early successes with 20th Century Fox’s martial arts film, Man from Hong Kong, the Vietnam themed Siege of Firebase Gloria, the futuristic satire Dead In Drive-In and two horror comedies, An American Leprechaun in Vegas and Leprechaun in Space. 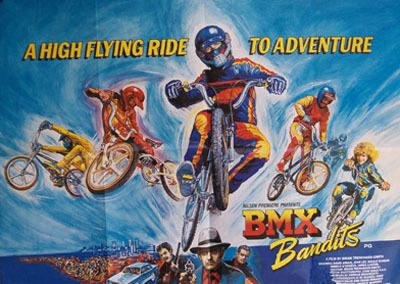 Two of his films, BMX Bandits, showcasing a 15-year old Nicole Kidman, and Miramax’s The Quest, starring ET’s Henry Thomas, won prizes at children’s film festivals in Montreal and Europe. On television, he directed the cable remake of the World War II classic, Sahara, USA Films’ Atomic Dog and Official Denial, Showtime’s Escape Clause and the highly rated Ann-Margret starrer, Happy Face Murders. He also has directed over 36 episodes from television series such as Silk Stalkings, Time Trax and Flipper.